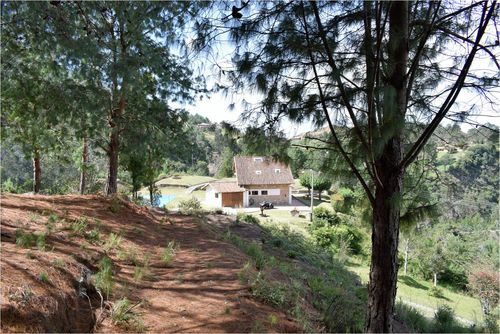 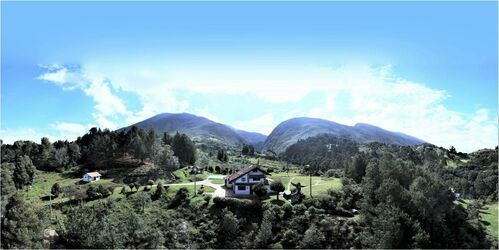 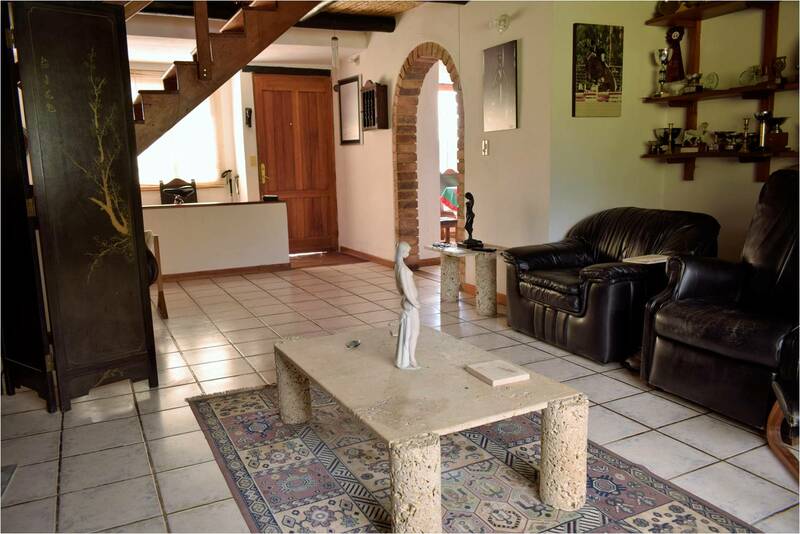 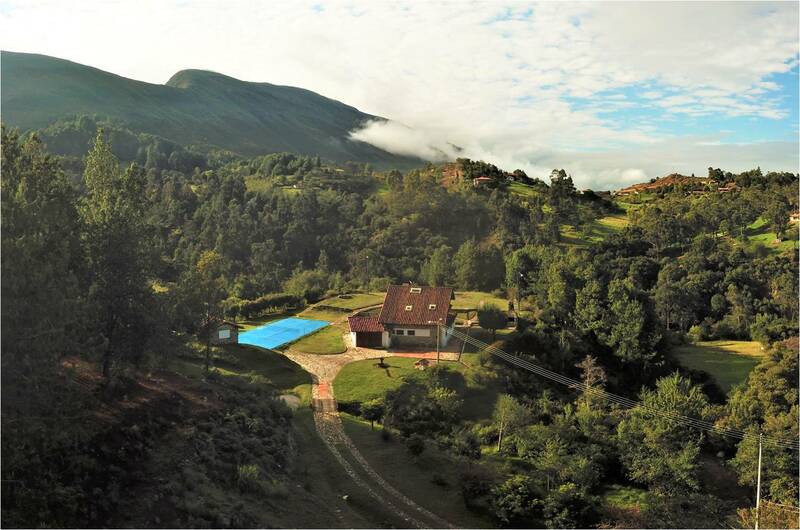 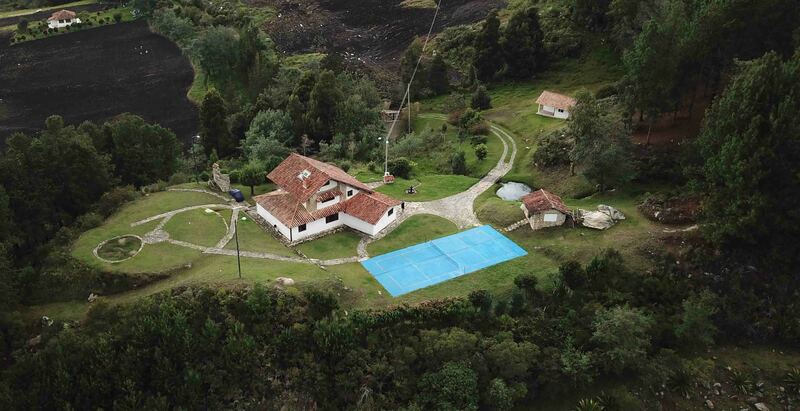 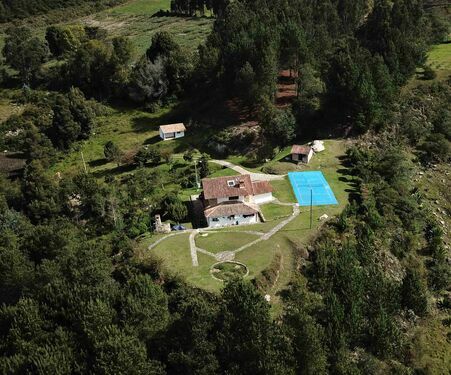 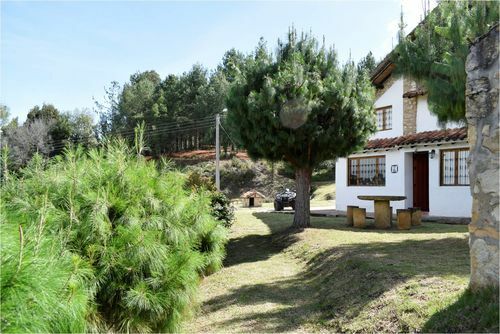 Only 2 and a half hours away from Bogotá, 7 km away from Villa de Leyva, Boyacá (via Arcabuco), is Finca el Refugio, with an area of 12,000 m2 approx. The farm is located on a plateau, with a spectacular 360o view, and is framed in large and beautiful trees, with a small pine forest. 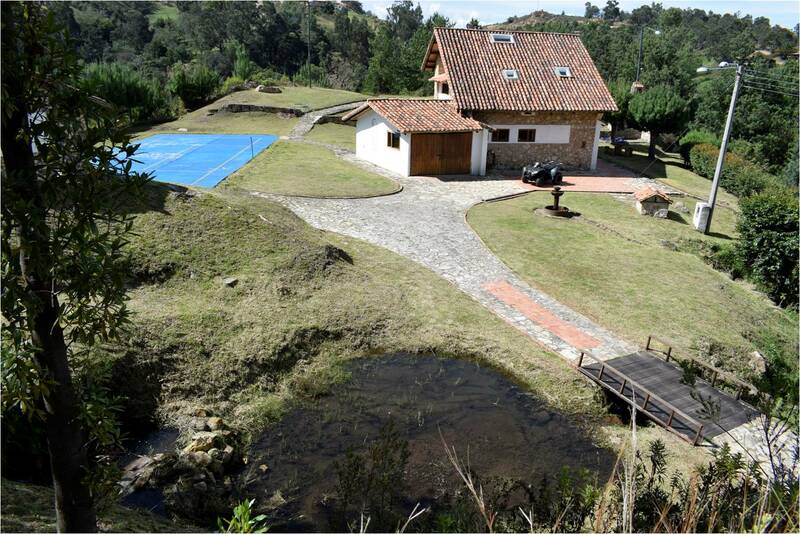 As a special feature the farm is crossed by a stream with abundant water, with 2 lakes. 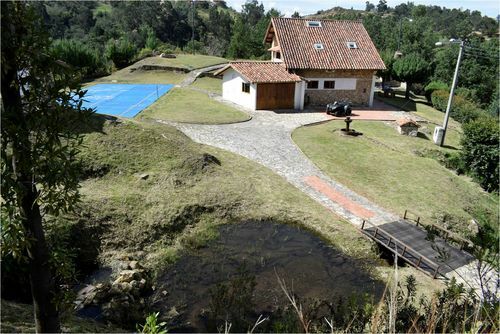 CONSTRUCTIONS: Main house with exterior grill, guard house, storage house, mini tennis court and paths in stone and on land. The houses have a built area of 250 m2 approx. The main house has 3 bedrooms, 2 bathrooms, dressing room, study, attic, dining room, kitchen and garage. 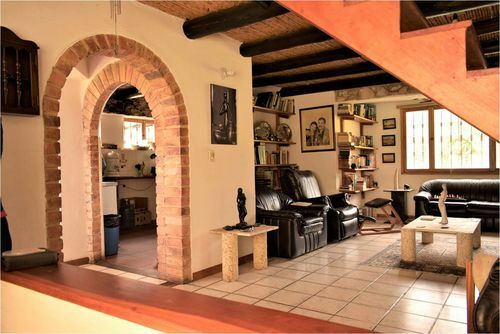 The guard house has an alcove, a bathroom and common area. Timber, Brick, Stone, Concrete, Other. Historic centre, Hospital, Park, Touristic area, Mountain, Natural park, Forest, Lake, River.